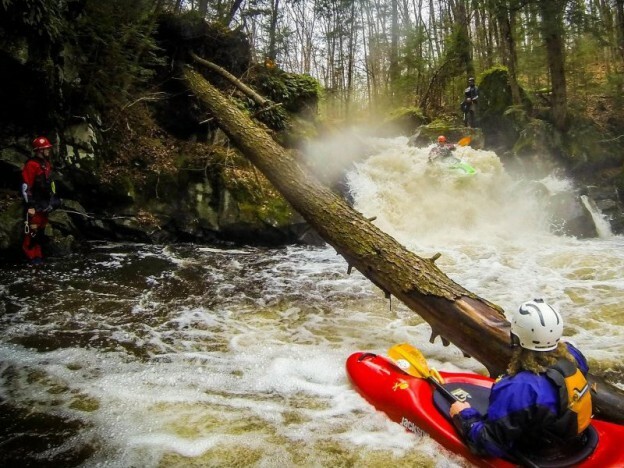 Green River Vermont, Upcoming Dam Re-licensing, January 2015 | DBP MAGAZINE ONLINE The World's Best Free Whitewater Publication. While the famous Green Race was taking place in North Carolina, I decided I needed to check out the Green River. Only this Green river is in Vermont! I’ve had my eye on this run for a while and jumped on the opportunity to get on this run, which seldom releases, and with no particular schedule. After loading up in an 86′ Subaru Outback with my friend Mike Flynn we made the 5-hour drive north from my house. The drive was worth it! The Green River, a tributary of the Lamoile River, cuts through an intimate wilderness far from any road. The rocks are sharp schist, beautiful flakes and sheets of rock-forming dinosaur shaped monoliths looming through the forest. Apart from the put-in and takeout I didn’t notice any signs of former habitation, none of the derelict old mill projects and logging era artifacts, which are common for northern New England streams. The Green river is like a self-fulfilling prophesy; all the boulders and fallen trees covered in thick blankets of moss, Old Man’s Beard hanging from the branches, and thick stands of hemlock everywhere. The paddler is rewarded with about 4 miles of almost continuous class 3-5 whitewater, all the major rapids separated by long stretches of fun boogie water. The river seemed to pool up and form especially distinct eddies before the most major rapids. Much like the Green Narrows of North Carolina, this Green River has its own “Big 3″ as well. Right at the put in you encounter Moonshine, a very technical ledge drop with some consequences for a bad line. The landing is shallow, and there are some legitimate pin spots. Right on the other side of the island that forms this rapid is a friendlier (and juicier) alternative (plop plop fizz fizz). 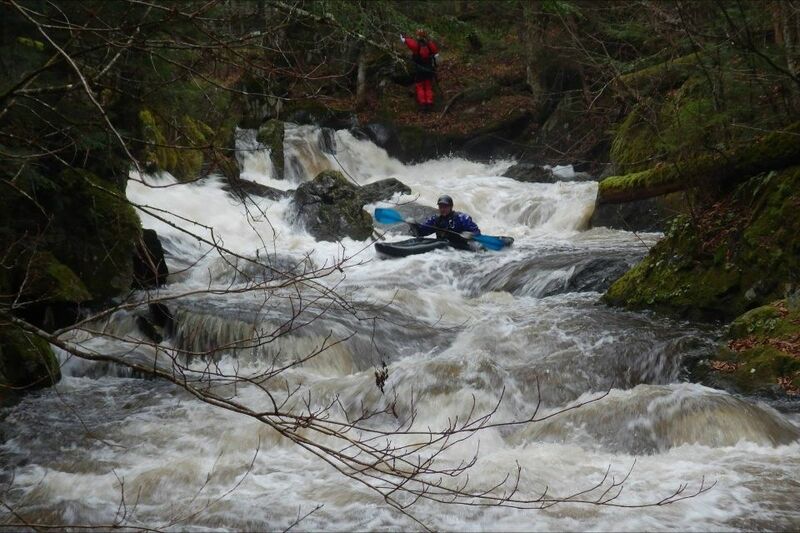 If you didn’t like the looks of this rapid, don’t worry! There are plenty more fun rapids downstream and you will have a great opportunity to get warmed up before the upcoming significant rapids. After warming up and paddling through a scenic sedge marsh (might spot a bald eagle), you’ll reach the next of the Big 3, Young Buck rapid. This rapid contains the biggest geological hazards as this walled-in gorge rapid contains some real undercutting that will be hidden more and more as water levels increase. There is a convenient place to set safety for paddlers otherwise the portage is easy. If you run it, enjoy this unique triple drop. From this point on the river gets consistently steeper. After a great set of rapids you reach the final of the “Big 3″, Humble Pie. This is a juicy 10-ft waterfall with a fun and dynamic entry rapid. It’s the easiest of the “Big 3″ and provides your best opportunity to disconnect from the water and fly through the air. The biggest hazard at this rapid is its recirculating hydraulic. If you have a large group, take time and set safety from both sides of the river. From this point on the action doesn’t let up until the takeout. 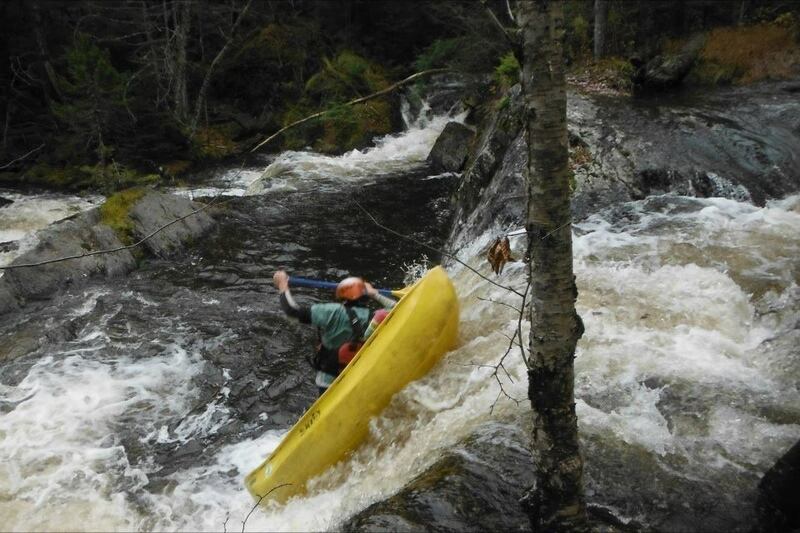 There are numerous Class 3 and 4 rapids; some are easy to read and run. Others you may want to scout for new wood because they are blind, and small New England streams like this tend to collect wood. Once you reach the take out, go get a beer at the local brewery or drive up the easy shuttle road for another lap. The Future: We owe our thanks to Ryan McCall, a local Vermont paddler, for the initial wood removal and dam release negotiations for this run. With his support and other area paddlers, we hope to secure regular scheduled recreational releases. The biggest challenge faced for securing this access is also this runs greatest asset, its wilderness quality. The reservoir that feeds this run is loon habitat. The loon is a sensitive bird species and requires fairly remote habitat to be successful. As the water is released it lowers the level of the reservoir, and this has an affect on the loons nesting and fishing habitat. The reservoir cannot drop more than 10 inches at a time during the release. Luckily careful regulation would not affect the two-day weekend recreational release. With our support Ryan will be able to secure 10 scheduled release dates per year when this dam goes up for re-licensing on January 15th, 2015. This is probably my favorite (and maybe the most fun) dam release river in the Northeast. 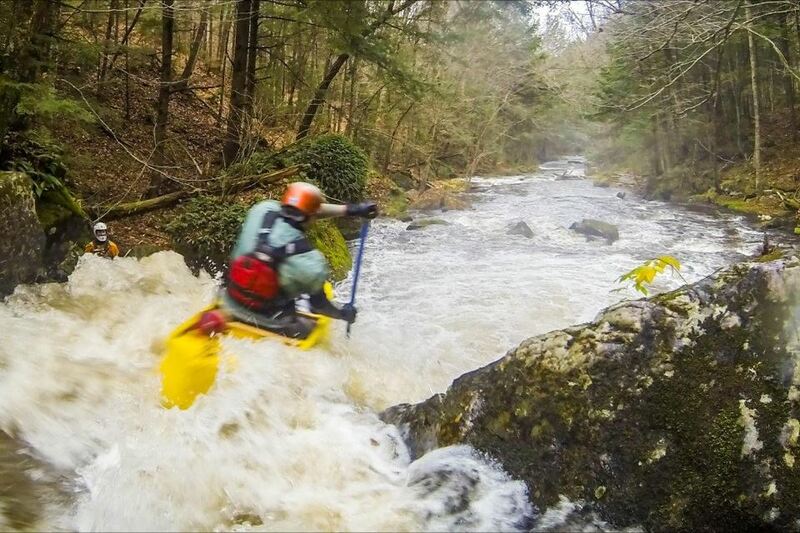 It has the potential to draw a great following of northeast whitewater paddlers. A summer trip to the Green River could easily be combined with a trip to Montreal’s world class play boating as well as the nearby Ausable Chasm, a short ferry ride away in upstate New York. If there has been recent rain, you could check out the Gihon and Wells Rivers, both in Vermont as well. The area boasts a plethora of local breweries and restaurants in Burlington and the resort town of Stowe. I know that there is nowhere I’d rather be on a typical dry New England summer weekend.